Klaus Møller (Moeller) is one of Europes most recognized voice trainers and vocal coaches. He has 30 years of experience in voice training and performance coaching and works with some of Denmarks best singers and actors. 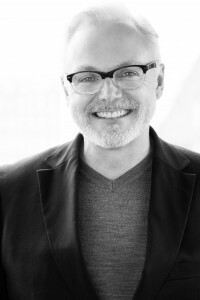 He is the founder and leader of Voice Coach Academy (VCA) in Copenhagen. VCA offers high level training and certification for vocal and voice coaches. Klaus and his team teach, coach and present in both English and Danish. Klaus Møller Voice Studio is based very close to the beautiful and historical Nyhavn in the center of Copenhagen. Don’t worry – If you can’t come to our studio in Copenhagen, let’s meet online instead! Online Voice Training and Performance Coaching for politicians, CEO’s, speakers, teachers, coaches etc. Please contact us for more info. Vocal coaching with Klaus Møller – A life changing experience! “The words to describe Klaus Møllers vocal coaching…well, to call it a life changing experience, would that suffice? Yes, the minute I walked into klaus Møllers world of teaching I was gripped, not only is he inspiring to listen to, he actually found the voice inside me that I didn’t even realize I had…….in Klaus´s mind anything is possible you just need the right tools and support and understanding of your own instrument. If you dream of having the control, the support and of having a sweet gentle sound and then the next minute Belt like the Shirley Bassey we all dream about well, Klaus is your man! His techniques are simple and once the anatomy is explained and the visual is understood then you have the recipe for success, whether you are a true pro or just a beginner or even someone who just wants to be heard in the day to day life, Klaus is the man to do the job! Who Did You Influence With Your Voice Today? The young Møller decided to put his newfound knowledge to work by taking up singing. He began by singing lieder at local church concerts and joining an opera choir, and eventually took on roles in opera and operetta productions. In time, Møller discovered an intense love for musical theatre, appearing in shows such as My Fair Lady, The Sound of Music and The Phantom of the Opera. His rich, expressive voice also earned him numerous professional acting and commercial voiceover gigs. In the early 1980s, during his active years as a singer, Møller found that he was the one his theatre colleagues turned to when they were having voice problems. Realizing he had the skills and insights to help others improve their singing performance, Møller began studying vocal pedagogy in London and in the U.S. The theatres he had once performed with soon began seeking his expertise for various musical productions, and thus began Møller’s career as a sought-after vocal trainer. Today, Klaus Møller is recognized as one of the preeminent voice coaches in Denmark and Northern Europe. Since 1986, he has taught singing at leading music and drama schools in Copenhagen, including the Preparatory Conservatoire Course, The Music School and the Danish Musical Theatre Academy. He has also hosted workshops for choir directors at the Danish Amateur Choir Association (DAKU) and teaches regular courses at the Danish Actors’ Association. A certified instructor in the Estill Voice Model, Møller keeps his theatre ties alive by serving as a vocal coach for the New Theatre in Copenhagen, where he has worked extensively with cast members of The Phantom of the Opera, Cats and Beauty and the Beast since 1997. He is also a vocal coach to The Royal Theatre, Denmark’s oldest stage and home to world-class theatre, opera and ballet. In his studio in the center of Copenhagen, Møller trains professional singers, actors, and recording artists how to harness the potency of their voices to achieve illustrious careers in the performing arts. He also works with politicians, business executives, television speakers, clergy, and other individuals whose success depends on being able to communicate clearly and persuasively to large groups. In addition to cultivating healthy voices, Møller excels at rehabilitating performers and professionals whose voices have been injured as a result of illness or surgery. His coaching helps these individuals to heal and reclaim what Møller views as one of our most essential life tools.